I hope you draw my pony. Appearance: a loosely hung mane of red and white with bright green eyes that bare the irises of that which Nightmare Moon adorned. A sheik black body, darker than shadows, and the traditional royal guard armor. 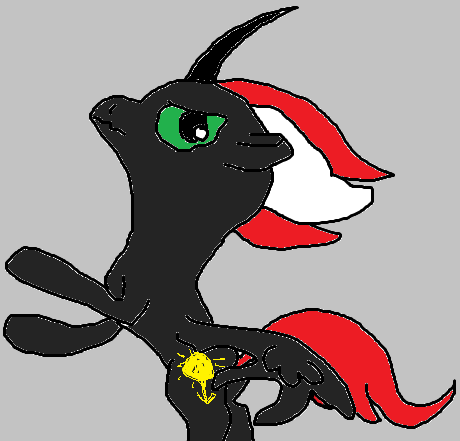 mhm hello,can anyone draw my black pegasus with cutemark spear sun? nice,his wings should be fold. 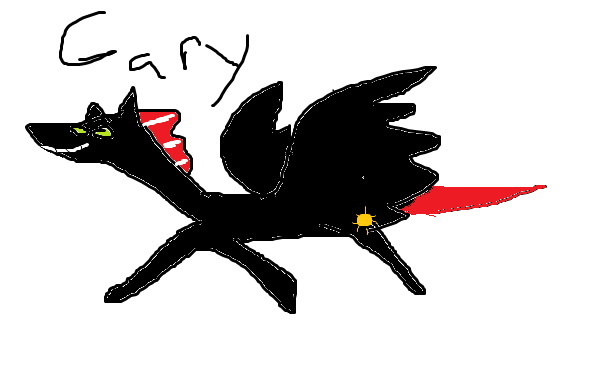 I drew your pony, gary! by the way. you forgot put Pegasus's Royal Guards Helmet and Armor.